Fill out our simple form and get quotes from local Indian caterers. Indian catering for Indian weddings and celebrations, or for anyone who’d like to enjoy the delights of Indian food at their event. Indian caterers offer the spice, deep flavour and excitement you expect from great quality Indian cuisine. Mild, medium or hot? However, you like your curry we have an option for you. All served with rice and delicious side dishes such as bhajis and samosas. We are a family run business with a vast choice of cuisine from around the world. 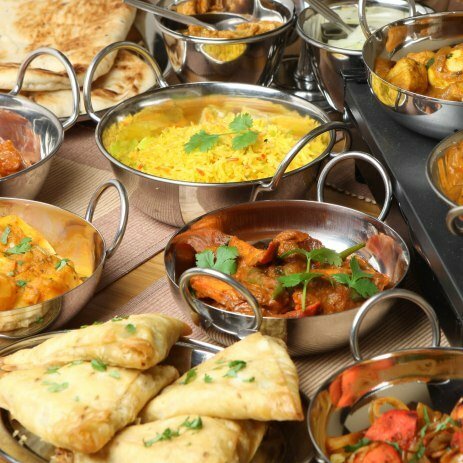 We can produce an array of Indian dishes, which are mouth watering and will leave you wanting more!! Family run business, providing Indian catering for over 8 years to all kinds of events, from festivals to weddings. To those who want to find a traditional Indian caterer or Indian wedding caterer that can produce delicious, authentic food for Indian celebrations, we can help! To those with a love of spice and to those who are looking for a different and exciting catering option, our Indian caterers could be the perfect option. Flavour, texture and passion rule in Indian cooking, so finding Indian caterers that can provide the perfect service is important. Browse through our Indian caterers to find the catering team that’s right for you. Request free quotes and move one step closer to planning your perfect event.